Because it was our first time to visit Bohol and Cebu, I managed to convince hubby to buy souvenir items from Islands Souvenirs in both places. We only bought souvenir shirts from Islands Souvenirs in Bohol, but we bought souvenir shirts and pasalubong (bring-home goodies) at Islands Souvenirs in Cebu. We bought a few packs of dried danggit and pusit and the popular Shamrock Otap. I really like the quality of their souvenir tee shirts; the designs are lovely, too. Islands Souvenirs’ staff are also very helpful and courteous. They also print sales receipts fast, which makes me wonder if they’re using Epson TM-T88V. We hope to go back to Bohol and Cebu and to shop again at Islands Souvenirs in the near future. 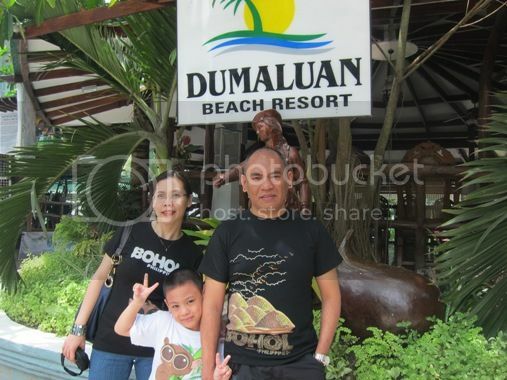 This entry was posted in Bohol, Cebu, Islands Souvenirs, Souvenir Items. Bookmark the permalink.